The Vitality London 10,000 2019 race starts on The Mall and finishes opposite Buckingham Palace. Runners follow a clockwise route around the City of Westminster and the City of London, passing many of London’s famous sights including Nelson’s Column, St Paul’s Cathedral, the London Eye, Big Ben, the Houses of Parliament and Westminster Abbey. Runners and supporters meet up in Green Park after the race. 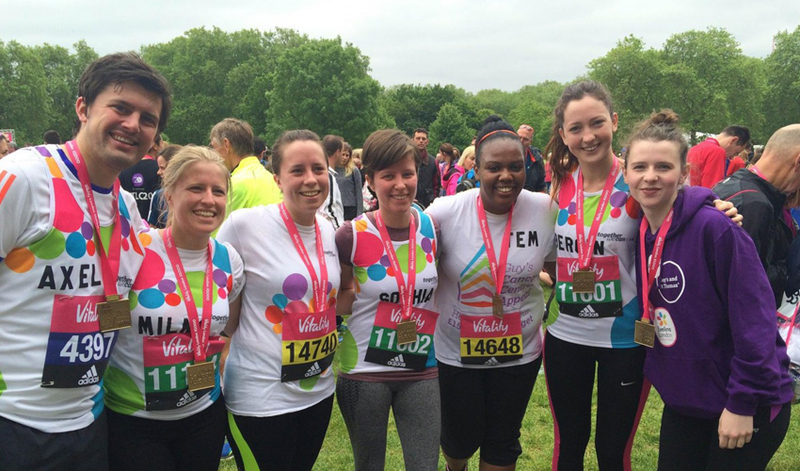 You can apply for a limited charity place in the Vitality London 10,000. The registration fee is £25, and we ask that you raise £200 in sponsorship for a ward or department of your choice. Register for one of our guaranteed charity places. You can secure your place through the race organisers via their website, and then let us know you're taking part by filling in our online registration form, choosing the 'I have a place' option. Register your own place. Sign up a team and get a discount! We’re offering £10 off your registration fee per person if you sign up as a team of three or more. So grab your squad and get running! Just select the ‘I want a place - team of 3 or more’ on the form and your discount will be applied. A comprehensive fundraising pack including information on training and nutrition. A free dri-fit running vest and letters to personalise with your name. A dedicated Events Team to help you every step of the way. Free Guy's and St Thomas' merchandise to support your fundraising. 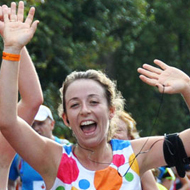 Royal Parks Half Marathon Sign up here! Bake it Big, bake an impact!